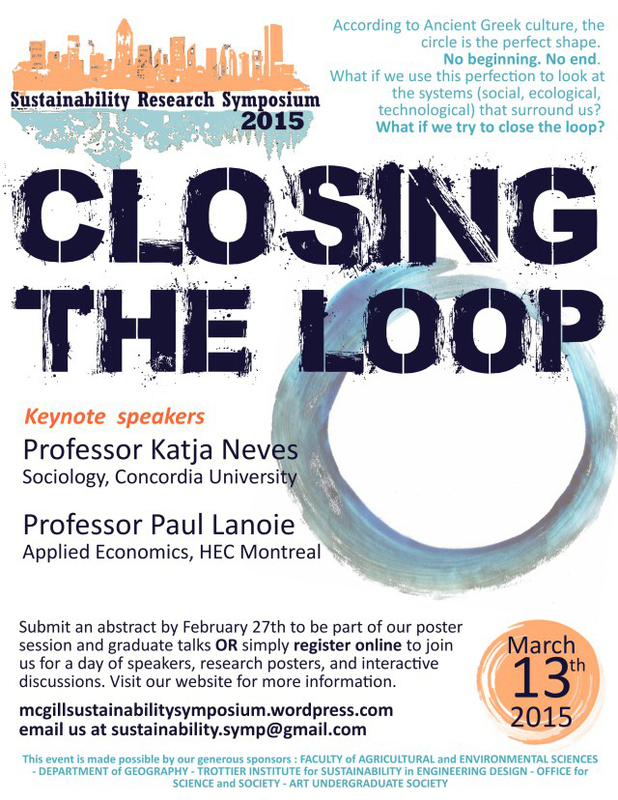 Registration and abstract submission is now open for the fifth annual Sustainability Research Symposium @ McGill on March 13. Sustainability research is, by design and necessity, interdisciplinary and researchers in this field require platforms and spaces to share ideas and create connections. For this reason, we are encouraging abstract submissions from graduate and undergraduate students across all faculties that are carrying out research related to any aspect of sustainability. Please visit the website for more information and to register.